I speak French, English and Arabic (learning and improving those two ones!). I have also been exposed to Latin, Ancient Greek and Spanish when I was in high school in France. I forgot almost everything about them but it was a great enrichment for me and I think it developed good language-acquiring mechanisms in my brain! How many and which ones do you speak on a daily basis? On a daily basis, I speak French and I try to use more and more Arabic with my child since I am learning it and this is the best way I found to really acquire it! I decided to mostly raise my child in Arabic when she was a baby/preschooler but since she is bigger now, I tend to speak more French with her (the easy way for my brain especially since we have more complex conversations). But I want to go back to more Arabic because it is a really important language for me and because I don’t want to forget it. It is a daily challenge! I also speak some English with my child when we homeschool. Are you teaching your children these languages ? 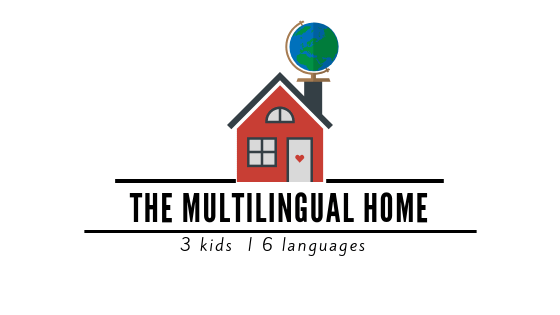 Do you homeschool, if so, how do you incorporate the languages into learning ? We decided to start homeschooling this year (our child is in grade 1) for many reasons and one of them is the ability to incorporate our languages, to preserve them more and to balance them well. I think that’s a true blessing and we are so grateful for having this freedom and flexibility. i hope we can pursue this in the future. Since the last 2 years we were living in a Canadian English-speaking province, our child got the opportunity to really acquire English (from daily life and part-time preschool attendance). English is also an essential language nowadays so we chose to keep it as the main language of instruction in our homeschool (for core subjects like Language Arts, Math, Sciences, Social Studies) but our daily routine also includes an Arabic time (with activities like copywriting, read-aloud, free writing, writing for an Arabic penpal exchange). Moreover, after our homeschool time is done for the day, I try to alternate the exposure of both languages through my child’s cartoon/documentary time and our bedtime read-aloud. One day the cartoon/documentary and the book will be in English, the day after they will be in Arabic. I decided to keep French writing and reading for later. She already speaks it very well and is exposed to it a lot daily compared to English and Arabic. I also know that she can pick a language easily and I noticed she is already picking French reading by doing the parallel with English and reading the packaging and signs in French (in Canada, packagings are bilingual and we are currently in a French-speaking province). Trying to find a good language exposure balance and keeping the interest of my child in the minority languages (this year since we are in a French-speaking province, the minority languages are English and Arabic). I have been monolingual for my first 20 years of life in France and I never ever thought I would be able to speak other languages and to raise a multilingual child! Immigrating to Canada, Homeschooling, Skype sessions with our families overseas. Try to balance the exposure to your languages daily in a meaningful way for your child, adapt this balance to changes in your situation (for example, if you move to a new country, a language may suddenly become the minority language and you will have to incorporate more of it at home), never give up, be patient and persevere! Books, books and books! If your budget is tight, check out your local library to borrow them (some libraries in big cities even have books in different languages) and buy second-hand at charity stores or garage sales. Youtube, to find cartoons and documentaries in different languages. The Arabic Teaching book “Al 3arabiyyatu bayna yadayk” (Arabic at your hands) helped me so much for Arabic with its dialogues, audios and daily-life topics. I also use it with my child. Which language would you recommend someone to learn and why ? Arabic! It is beautiful and I love how it is rich and meticulous (good for our brain!). Emilie is a French homeschooling mom raising a trilingual child. She is also the founder of arabicseeds.com, an online website helping families and teachers (including non-native speakers) to teach Arabic to kids in a meaningful way through engaging printable resources, and exclusive learning content for the Arabic Seeds membership (including videos and audios for non-native speakers). 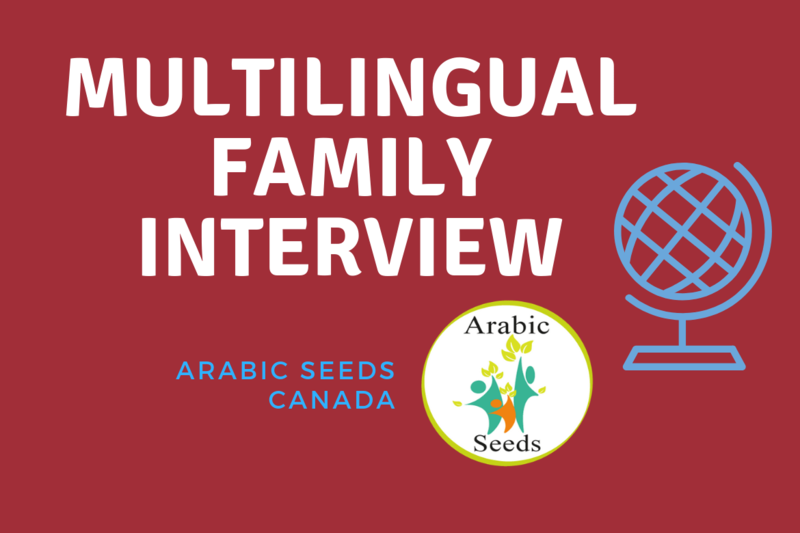 She also shares her own experience and invite guests to share their tips on Arabic Seeds’ blog. You can also find Arabic Seeds on Facebook and Instagram.